Wire Fox Terrier Dog Names | Popular Male and Female Names | Wag! Although the Wire Fox Terrier isn’t the most popular dog breed in America, if you have recently acquired this breed, it will make a great addition to your family! The Wire Fox Terrier makes an excellent companion and they are extremely intelligent. They train easily, are good with children, and are reasonably active. Many Wire Fox Terriers have appeared in TV shows and movies, and this is because they are so trainable – there’s only thing to think about now, and that’s what you’re going to name your friendly pet? Read this guide for information and inspiration that every new owner of the Wire Fox Terrier should hear about before naming their new addition! The Wire Fox Terrier, like other terriers, was originally used for hunting. This particular breed comes from the Rough-Coated Black and Tan Terrier from Wales, in the UK. This breed is highly energetic and is known for being extremely brave. The American Kennel Club recognized the Wire Fox Terrier in 1885, and they rank this dog at number 101 in their list of most popular breeds in America. 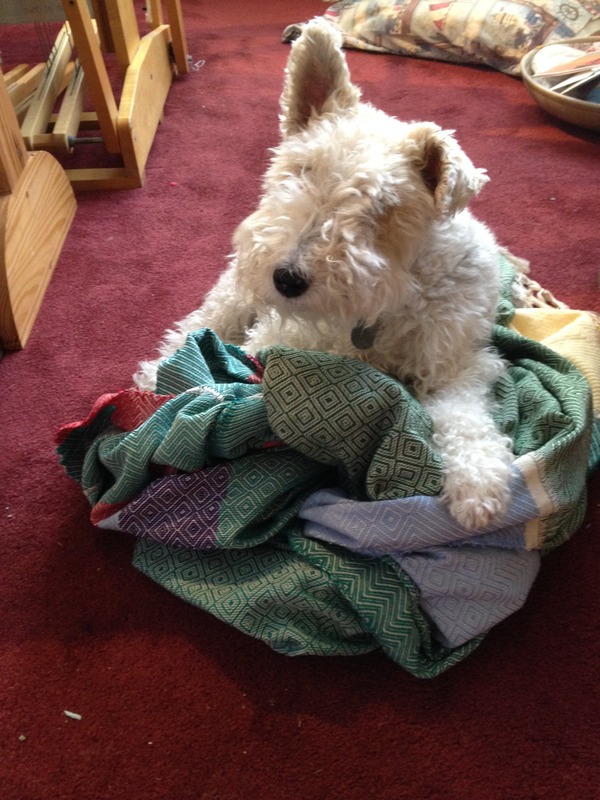 This hasn’t stopped this dog’s fame, as the Wire Fox Terrier has appeared in many TV sitcoms and movies. The spotlight name for this breed is Asta, inspired by the Wire Fox Terrier who appears in the 1934 American comedy-mystery movie, The Thin Man. Asta’s owner is a retired detective who is hired to find a white-haired, thin man. Asta is actually played by doggy-actor Skippy. Skippy was trained by owners Henry and Gale East, and he, along with several other movie dogs were profiled in the Dog Stars of Hollywood book written by Gertrude Ore, in 1936. Sources suggest that Skippy was one of the most intelligent animal stars ever known, as he worked with hand cues as well as verbal commands. He started training when he was just 3 months old, so he was made for his acting role. Other Wire Fox Terrier stars include, George, who appears in the 1938 comedy, Bringing Up Baby. Miss Skippy appeared in 1934 movie, Midnight Alibi, and Mr Smith in the 1937 comedy screwball, The Awful Truth. The American Kennel Club states that this breed is alert, confident and gregarious, and suggests that they crave attention from loved ones. As an energetic breed of dog, it’s important that you can put the time and effort into socializing and exercising your Wire Fox Terrier. A good long walk, along with play and training time is needed to keep your pooch both mentally and physically stimulated. He or she needs plenty of love and affection too, so lots of cuddles needed here! Edward VII owned a Wire Fox Terrier that he named Caesar. This royal canine famously marched at his funeral, beside his master’s casket. It can’t be denied that this breed is extremely loyal! Naming your Wire Fox Terrier is a very important task. If you want to find the right name for this energetic, brave, and loyal breed, there are certain things you might consider. Names like Firefox would suit your feisty pooch, or Bouncer if your pup is energetic. If your dog is lovable and cuddly, consider a name like Venus, inspired by the goddess of love! Finding the right name isn’t always easy, so we have compiled a list of 30 boys and girls names, below. Our aim is to inspire you! You should certainly check this out and see if there are any names you prefer for your new furry friend. When researching names, remember to make a list of any you think might suit your pooch – you can then refer back to them later. If you like unusual names, you can mix the names up, by putting two together, like Disney Blizzard for instance, but remember you are choosing a forever name, so choose a name you can see yourself calling out in public. If choosing a name is a joint effort with your family, why not make a game of it and you can all vote for your favorite name. You can even ask grandparents, friends and other relatives to see what they think too! Share Your Dog's Wire Fox Terrier Name?